Cementing Qatar’s position as a key wedding destination, another ‘great Indian marriage’ has taken place at The Ritz Carlton, Doha. “It is the first Indian destination wedding this year at The Ritz Carlton, Doha. We have three more confirmed Indian weddings to take place this year with the next one happening in 10 days. More than 800 guests are taking part in this wedding and all have put up at our hotel,” Erden Kendigelen, general manager of The Ritz-Carlton, Doha, told Gulf Times. “It is an entire buyout for four days and the upcoming three marriages are also entire buyouts. The other two are taking place in November. We are also in discussions with prominent Indian families to host two more marriages in the last quarter of this year,”continued Kendigelen. 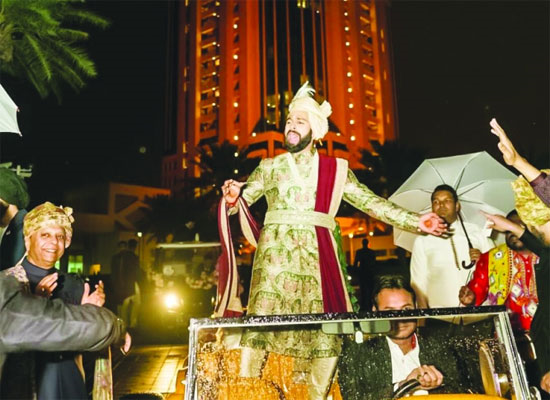 The first Indian destination wedding in Qatar took place at the hotel in March 2018 with more than 1,000 guests, featuring a celebration that lasted for almost a week. These events have turned Doha into a sought-after city for destination weddings and now there are several more lined up in the coming days. “Everything started in early 2018, when the first and the largest Indian wedding took place in Doha. The ‘great Indian wedding’ of March 2018 has been a trendsetter. This has opened the doors and now Doha has become a much sought-after wedding destination, especially from India,” the official explained. “People who attended the first wedding spread the word that Doha is a great destination for an Indian wedding. 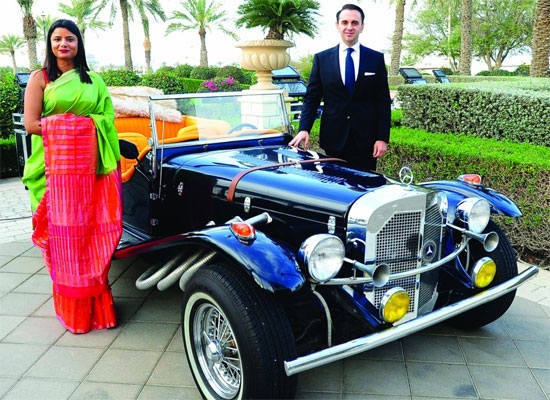 Our connection with Indian families has also helped The Ritz Carlton, Doha host four Indian weddings this year. Other hotels in Doha have also hosted Indian weddings, making Doha as a hot destination for such marriages. All this has emphasised Doha’s position as the key destination wedding centre in the region,” noted Kendigelen. According to Kendigelen, arrangements for the latest marriage were made with “great support” from the Qatar National Tourism Council (QNTC), Qatar Airways, Katara Hospitality and the Indian embassy in Doha. “There was great expectation from the guests as people were already aware of the wonderful experience at the first marriage here in 2018. We have risen to the expectations of the guests and gone even beyond. The decision by the Qatar government to waive entry visa requirements for Indian citizens is another major reason. This would not have been possible without the active support of the Government of Qatar, QNTC, Katara Hospitality and the Indian ambassador,” the official added. He described that some of the great initiatives of the Qatari government such as free visa on arrival, a designated immigration process and customs clearance and easy transportation to the hotel have helped in organisng everything “very smoothly”. “It was a seamless process. But what stands out is Qatar’s hospitality and authenticity. They feel the hospitality right from their arrival until departure and this makes a huge difference,” he pointed out. “At The Ritz Carlton, Doha, we treat it not just as a destination wedding but as our own wedding. That basically changes the whole dynamics to make it the most memorable one for our guests. Our team attends to every personal requirements of the guests and deliver a memorable experience,” he pointed out. For Indian weddings, every detail is very important, the official noted. “The success lies in every finer aspect. We give them the best food experience as well as great venues. Based on their experience, we provide a route map and a design for the wedding. This enables them to go for the best selections of food and signature products,” Kendigelen noted. “We have long strategic plans to promote Doha as a wedding destination. Now we are focusing on Turkey. Qatar and Turkey have got very good relations. It could also be a great opportunity to promote Doha for ‘great Turkish weddings’. We will also take steps to reach out to other countries in the region,” he added.